Veronica Mars: Will it score at box office like it did on Kickstarter? 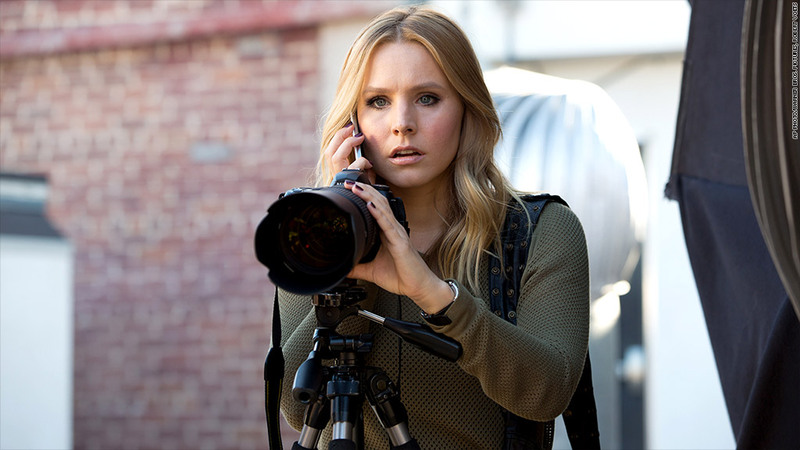 'Veronica Mars': Will it score at box office like it did on Kickstarter? Actress Kristen Bell stars in "Veronica Mars" and helped spearhead the Kickstarter campaign with creator Rob Thomas to bring the cult TV show to the big screen. Last year, "Veronica Mars" shattered crowdfunding records, and this weekend we'll find out if that translates to box office success. A Kickstarter campaign last spring raised $5.7 million to bring the cult TV hit to the big screen. With backing from 91,585 fans, the film received more contributions than any other project in the crowdfunding platform's history. The initial goal was $2 million, which would allow creator Rob Thomas to turn the TV series into a low-budget movie. Fans hit that mark in less than 12 hours, donating anything from $1 (which earned "eternal gratitude" from the makers) to $10,000 (which got one lucky backer a speaking role in the movie). It is currently the third highest-funded Kickstarter project ever. The series featured Kristen Bell as a teenage detective and ran from 2004 to 2007. Thomas has talked of making a "Veronica Mars" movie since the show went off the air but hit resistance from Warner Brothers, which owned the rights and wasn't convinced there was enough interest in a film, according to the project's Kickstarter page. After raising the funds, Thomas shot the film last summer, bringing back every major character from the show -- and most of the minor ones as well. While Warner Brothers is distributing and marketing the film, it was unclear if they helped with additional funding. Warner Brothers, which is owned by the CNNMoney parent company Time Warner, declined to comment regarding the film's financing. The film, which opens Friday, is being shown at 260 AMC theaters around the country, according to AMC spokesman Ryan Noonan, although he would not discuss presale numbers. "It's pretty much unheard of," Thomas wrote in a note to Kickstarter backers. "And since everything about this movie is unprecedented, I'm pleased that our distribution plans are too." Since the Veronica Mars campaign, a number of other celebrity filmmakers have used the site to raise money for their own movie productions. Spike Lee raised $1.4 million for an upcoming thriller, and Zach Braff raised $3.1 million to make his film "Wish I Was Here." "After I saw the incredible way 'Veronica Mars' fans rallied around Kristen Bell and ... Rob Thomas, I couldn't help but think ... maybe there is a new way to finance smaller, personal films that didn't involve signing away all your artistic control," Braff wrote on his Kickstarter page. But just because a movie raises money doesn't mean it will actually make money. The jury is still out on whether Veronica's 91,000-plus fans will translate to success at the box office.